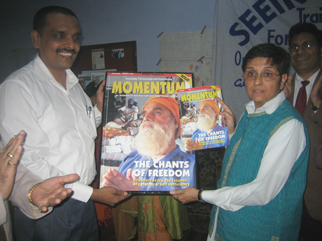 MOMENTUM is an in-house magazine of Amritsar Prison edited and published by Kunwar Vijay Pratap Singh, IPS. 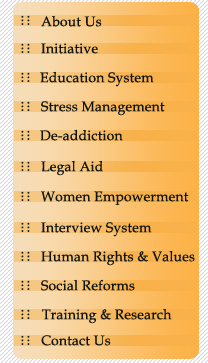 The inaugural edition of the news magazine of Amritsar Prison was released by Dr. Kiran Bedi, DG, BPR&D at Central Prison Amritsar on the 9th November, 2006. The Magsaysay Award winner First Lady IPS officer of India Dr. Bedi was here to deliver valedictory address of a two days training programme "Seeing is Learning" (SIL) organized by the BPR&D(Bureau of Police Research and Development), Ministry of Home Affairs, New Delhi at Central Prison, Amritsar for the Prisons officers of North India.